It isn’t uncommon to feel confused about your rights or your options after you or a family member has been hurt in a wreck. Find the answers to your questions here, or simply browse our answers to other common questions from Tennessee car accident victims. If you can’t find what you’re looking for, don’t hesitate to call our Nashville law office directly at 877-959-8847. How long will it take to settle my car accident case in Tennessee? This is a very common question asked by most victims injured in car accidents in Tennessee. Understandably, most people want to collect their compensation and put the crash behind them as soon as possible. However, it is in your best interest to understand what is involved in a car accident case because it often directly relates to the length of time it takes to resolve it. If you are looking to settle your case quickly, the insurance company will make you an offer at the very beginning of your case. They hope you will accept that offer because it will usually be low, and you might not yet be aware of the extent of your injuries. If you do accept the offer, your case can be resolved within weeks; however, you will no longer be able to collect additional money for your injuries at a later time. This is why it is prudent to be patient and not settle too quickly. The extent of your injuries. You never want to settle a car accident injury claim until you recover completely or reach a point of maximum medical improvement. This way, you will know the full extent of your injuries and feel confident that you won’t face additional problems or a future surgery. Although your recovery can take six months or more, which adds time to your case, it is in your best interest to wait until you know the cost of your medical bills, lost wages, and the result of your pain and suffering. The cooperation of the insurance company. Some insurance companies are more willing to be flexible than others when it comes to negotiating a settlement. Larger insurance providers have a legal team dedicated to reducing the cost of a claim and negotiating with a plaintiff’s attorney. Smaller insurers may have a large volume of outstanding claims, taking longer for each claim to be addressed by an adjuster. Still, other insurers require several layers of internal review and approval by multiple parties before an amount can be disbursed, especially if the claim is over a certain value. The litigation process. If you decide to pursue a car accident injury lawsuit, there are steps you’ll need to take that will affect the length of time it takes to settle it. After the lawsuit gets filed and the other party gets 30 days to answer, the discovery phase of the case begins. This is the fact-finding process that involves interrogatories (RULE 33.01) where each side gets to ask questions in an effort to collect information from each other about the case. Depositions (statements under oath) will then be taken, and witnesses and medical providers will also be deposed. This process can be lengthy and frustrating but needed in order to strengthen your case. Following this process, the court will typically require mediation. If the case isn’t resolved at this point, a trial date will be set. The details of the case. There are many factors involved in an individual case that can add to the timeline of the claim. For example, claims involving government entities may take longer than claims between two drivers and their insurance companies. If there are gaps in the documentation of the crash (such as a missing police report or unavailable witness), the case may take longer to settle. Also, an accident involving a commercial trucking company, delivery truck, or other major corporation may require an extensive investigation, adding to the overall timeline of the case. The percentage of fault. It may take some time to clearly establish liability in your case. It is important to be patient throughout this process since liability is a major factor in the amount you may receive in your case. Under Tennessee’s modified comparative negligence system, a claimant’s settlement will be reduced by his percentage of fault for the accident—and if a party is more than 51 percent at fault, he will not be entitled to any damages. A settlement is only one way to conclude your case. If you are not satisfied with the amount you are offered, you may decline the settlement and take your case to trial. While there is the potential for a higher settlement by going to trial, there is also more risk involved. If the insurer makes a strong case to the jury, you may be denied any amount at all for your injuries—and even if you are successful at trial, the defendant has the ability to appeal the decision, forcing you to go through the process all over again. For this reason, many victims would rather accept a settlement that will provide for their losses than go to trial. Your out-of-pocket costs. 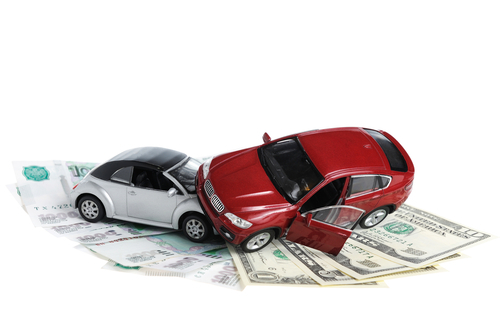 A settlement should at least provide for any costs you have incurred as a direct result of the accident. This includes all of your past medical bills, any medical treatment you may need for your injury in the future, and any property damage that was sustained in the crash. You should also have the total amount of your lost wages from the days of work you missed due to the accident, including any benefits (such as bonuses, commissions, and opportunities for advancement). Your future. In many accident cases, the victim will never be able to make a full recovery. You may only be able to work part-time or be unable to earn a sustainable living at all. Nerve damage, paralysis, and other permanent injuries can prevent you from engaging in the activities you formerly enjoyed, effectively changing both your life and your lifestyle. An injury can also make some options impossible for you, such as affecting your ability to have children or to care for the children you already have. Your pain and suffering. Pain and suffering is not just an amount for physical discomfort, but for the emotional effects of your injuries. Did the circumstances of your accident cause extreme emotional anguish? Are you seeing a therapist or psychologist on an ongoing basis to deal with the trauma of the accident? Did the accident cause facial disfigurement, loss of quality of life, or place a strain on your relationships with family members? Any one of these effects can be considered in a pain and suffering award. Most Tennessee personal injury cases are resolved within nine months to a year and a half. While this may seem like a long time, your compensation may be higher after getting through medical treatment and going through all the proper litigation steps to prove your case. Would You Like More Information About Car Accident Cases in Tennessee? For help learning more about the car accident injury claim process, request a free copy of our book, The 10 Worst Mistakes You Can Make With Your Tennessee Injury Case. 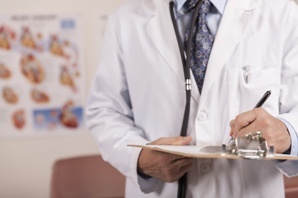 Which doctor should I go to after a car accident? Victims should get medical care as soon as possible after a car accident, whether by visiting the emergency room or seeing their regular doctor in the hours after a crash. However, patients will need someone to provide continuing care related to the crash after this initial treatment—and that often means choosing someone other than a primary care doctor to treat crash injuries. Insurance companies will only provide payment if you have proper medical evidence of your injuries. For this reason, you will need an injury doctor who will thoroughly document the cause, treatment, and long-term effects of your injuries in your medical records. The best choice for your ongoing treatment is someone who has experience treating car accident victims and who specializes in your specific type of injury. Documenting what happened to you in the accident. A specialist who has treated car accident victims before can give a medical opinion on how your injuries were sustained in the accident (such as a head striking a steering wheel), making it more difficult for insurers to deny the claim. Addressing any pre-existing conditions. Your specialist can identify whether the accident aggravated a previous injury or condition you had suffered in the past, allowing you to claim an additional amount to treat these conditions. Ordering tests, referrals, and specialized treatments. In addition to performing blood tests and ordering imaging studies (such as MRIs or X-rays), specialists may refer you to physical therapists, occupational therapists, and vocational rehabilitation experts who can fully evaluate you to determine the full range of your suffering and losses. Giving a prognosis on future medical care. Although every accident is different, a specialist who routinely treats crash victims has the ability to predict how these injuries will affect patients later in life. Some common complications that may be noted in your medical record include permanent impairment ratings, an estimation of future medical needs, and your ability to work, perform self-care, and enjoy life. If you are struggling to recover payment after a car accident, we can take over the fight on your behalf to get you the compensation you are owed. Simply fill out the short contact form on this page or request a free copy of our book, The 10 Worst Mistakes You Can Make With Your Tennessee Injury Case. Is it OK to Post Details of My Car Accident on Social Media? 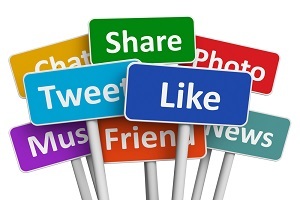 Facebook, Twitter, and Instagram are popular forums for sharing the details of one’s life with friends, family, and strangers. Consequently, it’s not surprising that social media has become an outlet for frustrations—venting to the public can be a satisfying release. However, some things should never be discussed on a public media forum for the simple reason that anyone could see it. Car accidents and collision injuries are two such cases where the less said, the better. Handling a car accident claim can be a scary and confusing experience for anyone. However, to protect yourself and secure a strong argument for an injury claim, you must know what to do after a car wreck and you should avoid doing in the aftermath of the collision. Demand access to your account. A defense attorney has the right to access your public accounts to gather evidence that may pertain to his case. Gather evidence. Relevant information can include photos (both of the accident as well as any personal photos of you after the accident), timeline posts, conversations between friends, and location check-ins. Use your posts against you. Any information relating to your accident that you have publicly shared can be used to cast doubt on your claim. If you shared a photo of you dancing at a club, the defense could argue that your injuries are obviously not severe. If you posted a Tweet seconds before the collision, the defense might argue that you may have been at-fault for the accident…and so on. To ensure that you don’t sabotage or jeopardize your injury claim, be sure to keep all details of your accident off public forums. Keep in mind that once you have posted something, it’s unethical for an attorney to advise you to delete it as that would constitute destruction of evidence. Therefore, before uploading anything or discussing any aspect of your accident publicly, make sure you speak to an attorney first. He will advise you on what you can and cannot post. For more information on pursuing a car accident injury claim, contact our office today at 615-807-7900 or get your our FREE guide for personal injury cases in Tennessee. We are eager to help you build a strong case. Call today to see how we can help. How Much Time Does it Take to Settle a Car Accident Claim? What can I expect during car accident mediation with an insurer? Mediation is a common method used to settle personal injury disputes. It allows people from both sides of the claim to make a case to a neutral third party, who listens and makes a recommendation on the settlement. If both sides agree, the claim can be settled without the need to go to court. If the parties do not agree to a solution in mediation, the case will go to court and the solution will be decided in a personal injury trial. What will happen? Although every mediation is different, the sessions often take the same basic structure: each party will present his case to the mediator (in the presence of the other party), and each party will get to speak alone with the mediator. Some mediators allow parties to talk directly to each other, with the mediator facilitating the exchange. The mediator uses all of the information gathered to find the ways in which the parties are likely to compromise. There are no rules on the ways that facts may be presented, and nothing either party says during mediation may be used in court or further negotiations after mediation is complete. Who pays for it? The costs of mediation are typically divided evenly between the two parties, since neither will argue that they are owed more in negotiation as a result. Who is the mediator? Practically anyone can serve as an independent mediator, but the best mediators are those with legal knowledge, such as lawyers or former claims adjusters. It is important to remember that a person hired as a mediator is not an advocate for either party, and should remain unbiased throughout the dispute. What are the benefits? Many people opt for mediation because it is much faster, allowing claims to be resolved in a matter of hours instead of weeks or months. It is also typically less expensive and less stressful than going to trial. It also allows a claimant and a claims adjuster to sit in the same room, humanizing a matter that would otherwise just be a set of documents or a file number for the adjuster. These sessions are more informal than a trial, and offer participants direct control over the outcome. Finally, mediation sessions are private and the information presented is confidential, which may not be possible in a trial. What are the drawbacks? Mediation may only take a few days to complete, but mediators often charge by the hour, making their services unfairly expensive for injury victims (unlike insurers, who have unlimited funds at their disposal). It may also be difficult to get insurers to agree to mediation, and even harder to get an insurance agent to make a personal appearance at every mediation session. Insurers have a dedicated team of lawyers to fight and defeat injury claims, and having your own attorney by your side is the best way to protect your right to receive a fair financial award. If you suffered an injury that makes it impossible for you to live your life, you should seek the advice of an experienced attorney as soon as possible. At GriffithLaw, we can listen to your concerns and tell you what your next steps should be in your free evaluation of your case. Contact our skilled legal team today or order a free copy of our book, The 10 Worst Mistakes You Can Make With Your Tennessee Injury Case. I was seriously injured in a rear-end collision. How can I tell who was responsible for the accident? The most common car accident types can be broken down into three categories: head-on collisions, side impact or T-bone collisions, and rear-end collisions. Head-on and T-bone accidents are the most life-threatening types of collisions as the points of impact are located near the driver and passengers. However, rear-end collisions can also cause serious injury and it may be difficult to determine liability in these kinds of crashes. Tennessee is a “modified-fault” state. This means that if a driver’s actions are found to be completely responsible for the accident, he will be held accountable for all damages. However, if he or his insurance company can prove that your actions contributed to the collision, you may be held partially liable for your own injuries. Paying attention to traffic ahead. If he were paying attention, he would have been able to stop before crashing into the car ahead of him. Driving at a controllable speed. If he was in control of his vehicle, he should have been able to stop in plenty of time to avoid a collision. Maintaining an adequate braking distance. If he was driving normally, paying attention and allowing a safe two-car stopping distance between his bumper and the car in front of him, he should have had enough time and distance to stop completely before a collision occurred. Although these assumptions are reasonable explanations for liability, there are a few exceptions. In other words, there are instances where you could be held accountable even though you were hit from behind. These instances include slamming on your brakes with no warning, cutting in front of another driver when there wasn’t enough room, or committing any other negligent action that deliberately put you and other drivers at risk for a collision. Whiplash. Whiplash occurs when a tremendous force causes the neck to over-extend. This over-extension causes muscles and ligaments to stretch or even tear. Even though it’s not a life-threatening injury, it can cause prolonged periods of pain, discomfort, and the inability to move the neck. Back trauma. Depending on the severity of the collision, occupants’ backs can be injured, causing severe bruising or even spinal damage. If the force was great enough to cause spinal trauma, the consequences of the injury can range from pain and numbness to partial or complete paralysis. Facial damage. In addition to causing whiplash, the force of a rear-end collision can cause the driver or passenger to smash his face into the steering wheel or console. This impact can lead to broken orbital (bones around the eye) or cheek bones, collapsed nasal passages, and fractured jaws. You never know when you may need a helping hand. Don’t allow an insurance company to lay the fault at your feet or take advantage of your confusion. An experienced car accident attorney will help you strengthen your case by documenting your injuries. Allow attorney John L. Griffith to protect you and your rights. You can also download our FREE guide on handling personal injury cases for additional insights and guidance into car accident injury claims.